We offer you customer specific solutions for electronics SMT & THT pcb assembly, realised with state-of-the-art production and equipment. Our experts consult you throughout the whole project, from the conceptual design till its execution. Our organization has successfully expanded its business in market owing to the offered elevated quality array of FPGA Boards. The offered board is designed using quality assured material and progressive technology. Our quality experts check this board against various quality parameters to maintain its flawlessness. Also, our customers can avail this board from us as per their needs. 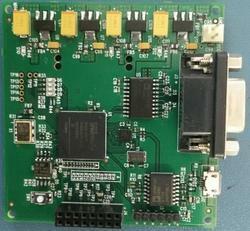 Development Board with Altera Flex 10K EPLD, SHARC ADSP-21161, ADC, DDC. Argus is service Provider for Military and Aerospace PCB Repair, Refurbishments & Maintenance with ability to repair virtually any electronic equipment’s or Printed Circuit Board (PCB). Our team engineering Team specializes in repair, rework, BGA rework, Test and Inspection of electronic circuit boards and assemblies With Automatic Test Equipment and complete Lab facility and RoHS compliant PCB repair service. We are able to support all OEM, Non-Warranty, Upgrades and Obsolete repairs, for a wide range of items. HDI PCB are characterized by high-density attributes including laser microvias, fine lines and high performance thin materials. This increased density enables more functions per unit area. HDI PCB capitalizes on the latest technologies available to increase the functionality of PCB using the same or less amount of area. This advancement in PCB technology is driven by the miniaturization of components and semiconductor packages that supports advanced features in revolutionary new products. This includes touch screen computing, 4G network communications, military applications and avionics. 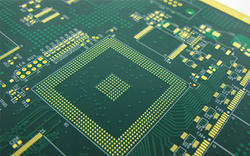 We provide on site PCB assembly technicial for project work. We have a team of experience technicians who can work on site at your comfort to provide the PCB assembly services. Looking for PCB Assembly Services ?